Microsoft Corp. will stop offering support services next month for computer users whose machines are still running Windows 98, though the company said it might still release security patches if threats appear serious enough. About 20 percent of all Windows-based computers still run Windows 95 or 98, according to International Data Corp., a technology market research firm. 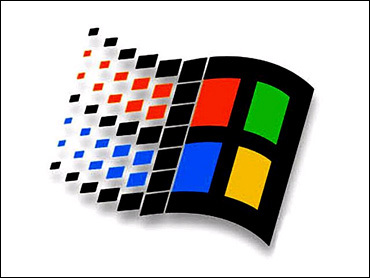 Support for Windows 95 stopped Dec. 31, 2001. People whose machines run Windows 98 will not be able to call Microsoft for help after Jan. 16. Online assistance will still be available. Analysts said the support phase-out should not cause major problems, in part because businesses - the largest segment of the PC market - generally upgrade their computers every three to five years. "I don't think anybody's freaking out about it," said Jupiter Research analyst Joe Wilcox. "One, the operating systems are very old and I don't believe a large number of businesses are using (them) in critical areas. Two ... there's an ample warning that these products are end-of-life." But CBS News technology consultant Larry Magid points out that many individuals, non-profit organizations, schools and government agencies still use Windows 98 and even Windows 95. And they may feel "a little bit betrayed" by Microsoft, Magid says. "Microsoft is basically saying, 'Upgrade or you're out of luck. You'll have to go somewhere else if you need help,' " he notes. Magid said Microsoft makes money if users are forced to upgrade from Windows 98 to Windows XP. But, he said, many older computers may be incapable of running XP, and "if you have a problem, you may be on your own"
Magid suggests that users of 98 or 95 go to Microsoft's online support area or turn to an independent consultant if they need help. Wilcox argued that consumers have better reasons to upgrade than the approaching end of support. "Those older operating systems, as long as they're kicking around, they're potential security problems for every company that uses them," Wilcox said. "They weren't built with encryption of data in mind. A lot of information is transmitted, passwords and things, as clear text. If you're looking for a good way to allow a virus on a network or allow it to be hacked, keep running these older operating systems."